The Roaring Forties GT40’s chassis was custom built using jigs and fixtures produced by RedEye On Demand. The digitally manufactured jigs and fixtures are available from RapidPro . Building people’s dream cars is what the folks at Roaring Forties do best. Jonathan Klopsteins and Paul Bottomley, co-owners of Roaring Forties have been using RedEye On Demand services for years, because with RedEye’s direct digital manufacturing, the Roaring Forties team can get jigs and fixtures produced easily and cost effectively accelerating production time. The Ford GT40, built from 1966 to 1969, was a high performance race car winning the 24 hours of Le Mans four times in a row. This lightweight, aerodynamic beauty was affectionately named after Grand Tourisme (GT) with 40 representing its overall height in inches. The rarity of this beloved, sporty model has increased and with it, the demand for accurate high quality replicas. Recently, the Roaring Forties team was faced with a familiar challenge, redesign in a short period of time. Due to a change in emission regulation, a new engine for the RF GT40 was required and needed to be fitted into the existing chassis. One of the critical changes was to the brake and fuel line harness. The ability to manufacture parts like jigs, fixtures and tools on-demand means processes can be optimized and implemented in shorter periods of time. Parts for fixturing and tooling in the automotive manufacturing environment need to withstand the harsh environment of high temperatures and vibrations. Additionally, they often need to be lightweight and portable. Lastly, as design components change, the fixture needs to be altered, often in a short amount of time. The commonly used manufacturing technique for jigs and fixtures is machining. However, changes can be costly. When a quality problem or production delay occurs, the cause is often the fixture, and engineers must move quickly to devise a plan to keep production moving forward. Typical turn around time of traditionally manufactured fixtures is approximately 2 to 4 weeks. With digital manufacturing, customers can get new fixtures in days. The use of digitally manufactured fixtures eliminates these constraints by giving the customer, the freedom to easily change the design at any time. With the additive fabrication process, what the customer designs in 3D can be built exactly and there is no miscommunication as to the requirements. There is no need to translate 2D drawings to the machining process and a low-cost, quality fixture can be turned-around in a matter of days. Fixtures are frequently used in holding, assembly and alignment, calibration, test hardware and prototyping. 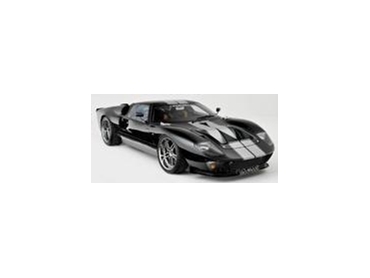 RedEye On Demand saved the Roaring Forties team’s time and money on fabrication and assembly tools allowing them to deliver an improved reproduction of the powerful Ford GT40. Digital Manufacturing technology eliminates machining, shaving days off production schedules and improving bottom lines. The additive fabrication process used at RedEye is suitable for many fixtures because it offers a significantly shorter lead time compared to machining and assembling metal, wood and other common fixture materials. Additionally, when the fixture needs replacing, RedEye can produce a new one in days compared to 4 to 6 weeks with machining or sheet metal. Finally, manufacturing parts with complex geometries is much simpler and requires less engineering resources compared to traditional machining methods. Because thermoplastics are durable, this same technology is evolving from modelling to an alternative for low volume manufacturing of end-use parts.